The only option for Sophronia Temminick, who has disgraced her mother by climbing trees and employing dumbwaiters as espionage, is to pack her off to Madame Geraldine's Finishing Academy for Young Ladies of Quality. Except this school teaches the fine arts of poisoning, direct interrogation and the usage of a knife against a werewolf. With new skills and new friends, Sophronia tackles the mystery of an older student embroiled in an undercover power struggle involving a precious new technology. I like the background pattern and the pose (just look at those potentially lethal scissors! ), but I'm not sure I'm fond of the b-&-w treatment. It's not totally horrible, but I feel like they could've gone a different route. I do love everything they've done with the text, though -- that ampersand is gorgeous and goes well with the solid-metal sans-serif toughness of the fonts. The best part of this book is the atmosphere. The Victorian era atmosphere permeates every pore of each page, from the characters' behaviours and reactions to the stylish voice of Sophronia. Flywaymen, dirigibles and transreceivers are woven in seamlessly, ensuring the steampunk element has an actual purpose beyond a novelty factor; however, the same cannot be said for the paranormal twist. 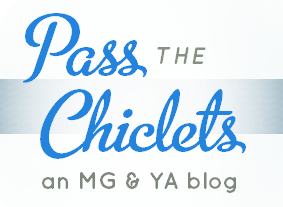 The vampires and werewolves come loaded with authentic backstory, but don't seem essential at all. Nevertheless, it most likely won't bother the average reader, not when the fascinating world of the Academy hosts both the paranormal and the steampunk comfortably. [Sophronia:] "Coming to the ball, Mr. Plumleigh-Teignmott?" "Ball? If you insist." Pillover slid off his trunk, and Roger jumped down to help him load it into the cart. "Ball?" said one of the Pistons with interest. "We like balls." Dimity gave them her best, most haughty look. "Yes, but are you certain they like you?" "What's that supposed to mean?" Sophronia whispered to her. In the bright light of the morning sun, Sophronia noticed something else about her new friend. He wasn't simply dirty; he was actually black. Sophronia had heard, of course, of people with odd-coloured skin, but she'd only seen pictures in her papa's books. She'd never actually met one before. But Soap is just like a normal boy! She wasn't certain it was polite to mention, but she couldn't help herself. "Why, you're all soot-coloured by nature!" "Yes, miss. A creature from darkest Africa. Wooo, wooo." He weaved his head around, pretending to be a ghost. Sophronia had read about Africa. This was a subject upon which she was fully conversant. "Oh, my, is that where you're from?" "No, miss. Tooting Bec, South London." At which he returned to the noisy, musty darkness of the boiler room. The mystery dips into a lull by the book's middle, but a series of rising-action events brings the intrigue and the action to a wonderfully chaotic mayhem of a finish with a neat reapparance of a character from the first chapter to bring a sense of closure to the story. 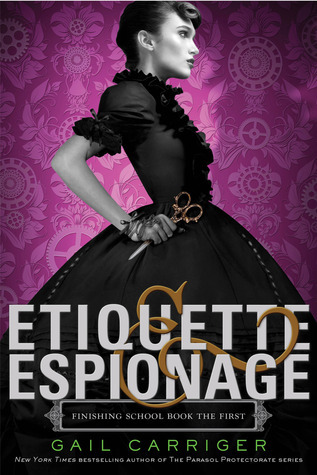 Though the mystery may not be what keeps readers waiting for the sequel, Etiquette & Espionage is irreverently fun and a very easy read.